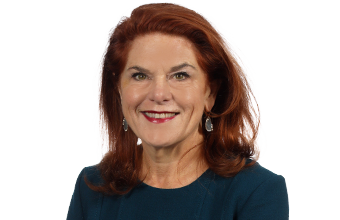 Rachel Blue, a shareholder with McAfee & Taft, was honored with the 2019 Fern Holland Award by the University of Tulsa College of Law Women’s Law Caucus at the Fern Holland Banquet on March 27, 2019. 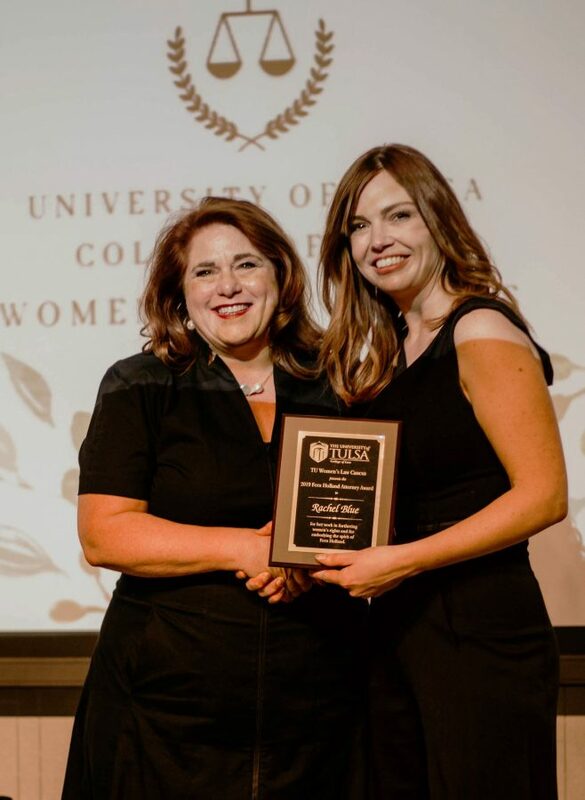 The award, which is named after a TU Law alumna who tragically lost her life in 2004 while protecting the rights of women in Iraq, is given annually to a Tulsa-area attorney who embodies the spirit of Fern Holland and advocates for human rights or the empowerment of women. Rachel was honored for her numerous efforts focused on empowering women, which include mentoring female law students, previously chairing the TU College of Law’s Alumni Relations and Mentoring Committees, previously serving as the chair of McAfee & Taft’s Women’s Initiative, and hosting special events for female law students and members of the legal community. (Above) Rachel Blue receiving 2019 Fern Holland Award. 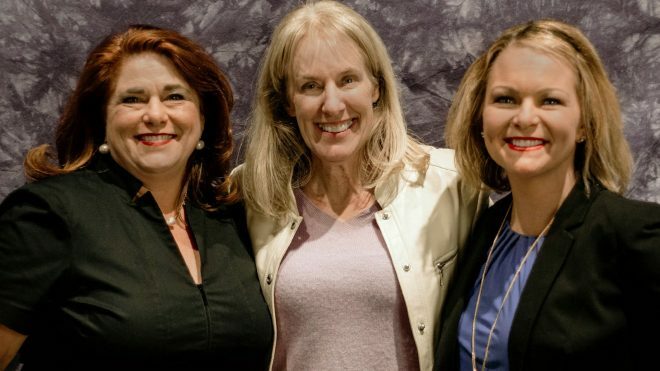 (Top photo) McAfee & Taft shareholder and attorney Rachel Blue with University of Tulsa College of Law Dean Lyn Entzeroth and Dean Christy Caves, director of professional development at the University of Tulsa College of Law. A 1988 graduate of the University of Tulsa College of Law, Rachel is the founder and driving force behind “Off the Record,” a cooperative effort with the University of Tulsa College of Law’s Professional Development Office that brings together law students and women lawyers from the bench, private practice, nonprofits, and industry for a fun evening of networking and straight-talk conversation. As the name of the event suggests, women law students who attend this annual event have the opportunity to ask questions of the successful women lawyers about issues and concerns not typically discussed in the classroom – topic such as transitioning from law school to the legal field, work/life balance, mentoring, gender bias and discrimination, and overcoming challenges in the workplace. According to Christy Caves, director of professional development at the University of Tulsa College of Law, Rachel is dedicated to making female law students feel comfortable in their journey into the legal profession by letting them know they’re not alone.